find peace, joy and love! And safe travels for those of you visiting family and friends afar. If you have a large-shaped die or cutting system, then this is super easy to put together! To begin, I created a 4X4X4 box from one of the December Documented papers. 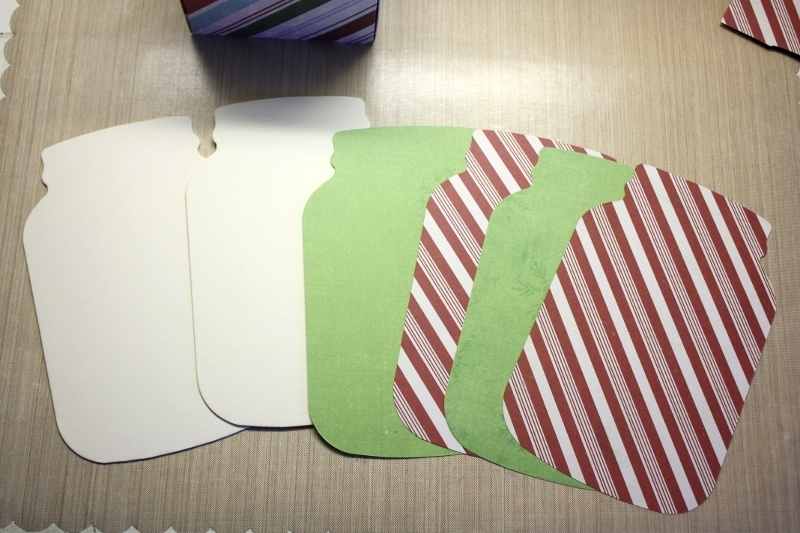 You can find templates online or cover a premade box with the patterned paper of your choice. from a mat-board (you could also use chipboard or pieces from a heavy box). Attach the papers to the mat board and machine-stitch around the perimeter if you'd like. (I used a quick drying glue). sized box if you would like to add a coffee mug filled with goodies. On the front I attached one of the medium-sized pockets from the SN@P! Pockets and tucked a hand-written recipe inside...also a great spot for a gift card or note. I glittered the chipboard tree and added some white pom poms. A pretty bow and we're all set for gift-giving! bowl for 2 minutes on medium power. Stir and continue the cooking time until the chips are melted. Pour over the dry mix and stir well. Allow to cool and then store in an air-tight container. Jar Album Die is by Top Dog Dies. I will see you all in a few days! Hi Shellye! What a cute idea. I love the mason jar die-cut and the super cute pocket in back to tuck the recipes inside. Very sweet idea. I always enjoy being inspired!